Did you know that Trading Day for the NHL is almost as big as the Super Bowl in Canada? I'm not kidding - the all-sports networks up here have been hyping their "All Day Trading Day" coverage for more than a month - and deadline day is still weeks away. I'd tell you what the big rumors are, but I follow a strict policy of ignoring any and all hockey-related matters so as to keep my brain fresh for basketball-related information. Hey, I it owe to you, our paying customers. Anyhoo, the Thomas-for-picks-and-scrubs deal is done, but rumors abound about possible other moves today. Before we get into those, how 'bout that Sam Presti, huh? 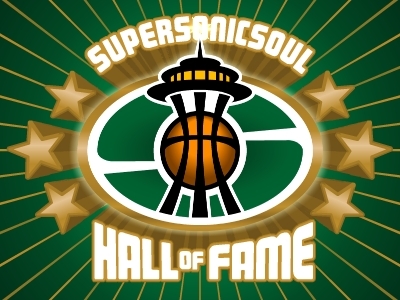 The Sonics now have six (!) first-round picks in the next three years, and our GM managed to parlay Rashard Lewis - whom the Sonics wished to jettison anyway - into three first-round picks, including two from Phoenix, where half of the roster will be living in Sun City within two years. 1. Mickael Gelabale to Phoenix: "Sources with the team said players like Denver's Yakhouba Diawara and Seattle's Mickael Gelabale were now secondary on the list, leaving [Quentin] Ross as the main target with the deadline approaching." It's also possible that if/when the Sonics buy out Brent Barry's contract, the Pale One will ink a deal with the Suns. The return piece in a Gelabale deal would be a 2nd-round pick. 2. Sam Cassell to the Sonics: "Cassell's name has popped up in discussions among a slew of teams, including the Grizzlies, Denver Nuggets, Seattle SuperSonics, San Antonio Spurs and Houston Rockets." 3. Delonte West to Cleveland: "Wednesday night's game against the Pacers was a priority but rumors of a trade between the Cavs and Memphis - for Mike Miller - and even a deal for Seattle guard Delonte West circulated the locker room. " 4. Chris Wilcox to Orlando: "Also available are veteran power forwards Kurt Thomas [scratch that one] or Chris Wilcox of Seattle, a team that wants to rebuild with younger players." I'm sure many more will trickle out as the day progresses. What do you guys think, though? Is Presti done for today? If the internet is good for anything, it's random trade speculation, so let's have it! If you were Sam Presti, whom would you want to receive from Orlando in exchange for Chris Wilcox? Personally, I don't see that Orlando has the pieces to make it work. Looking at the salaries involved, it would have to be a 2-for-1 deal, which means the Sonics would wind up releasing another player to get under the roster limit. Plus, the majority of Orlando's contracts expire after this season, and I think the Sonics are more interested in contracts which expire after next season, since that's going to be the prime-time for stud free agents. Never say never, but I'd really be surprised to see Weezy wind up in Orlando. Since you asked, though, how 'bout Redick and Arroyo? Sean (Cleveland, OH): There are rumors that the Cavs are in discussions for a blockbuster trade. Which team are they in discussions with and will the deal happen? Chad Ford: (1:08 PM ET ) I saw that. I question whether they have enough pieces to make a blockbuster. I seriously doubt it. The skeptic in me says that GM Danny Ferry is trying to get the word out that he's trying his best. He's getting killed in Cleveland right now for inaction. He is trying to make deals, but when you don't have a lot to work with ... it's tough. If they get a player like Delonte West or Wally Szczerbiak or something ... that might be a small help ... but not a blockbuster. "Never say never, but I'd really be surprised to see Weezy wind up in Orlando. Since you asked, though, how 'bout Redick and Arroyo?" I'm fine with that deal. Redick isn't getting any PT here, and if we trade him out West and he becomes a solid player (12 points per, .450 3FG%?) we'd only have to play him twice a year. Derek, Salt Lake City: Chad...don't you think the Spurs basically stole Kurt Thomas yesterday? Chad Ford: (1:30 PM ET ) Yeah. And it's a problem. The Lakers steal Gasol. The Hawks steal Mike Bibby. The Spurs steal Kurt Thomas. Now every GM wants the same type of deal. Send me a really good player and I'll give you back nothing of value in return. A few GMs are desperate enough to trade away great players for cap space ... but most aren't. I totally disagree, by the way. The Sonics had no use for Thomas, and getting a 1st in exchange for him is good value. "The Magic were interested in Kurt Thomas, as coach Stan Van Gundy has sought to increase his team's toughness. 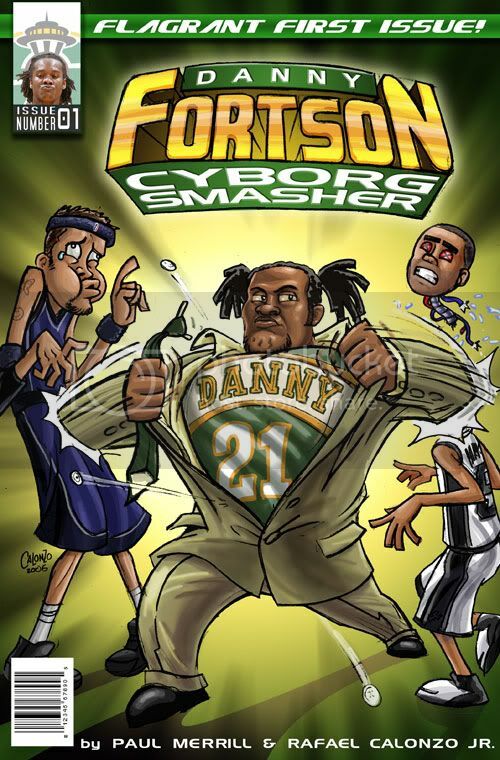 But the Sonics sent Thomas to the Spurs on Wednesday. Check this out: Seattle originally yielded a second-round pick to Phoenix in the preseason while agreeing to take on Thomas' salary in addition to a pair of first-rounders from Phoenix. Adding that to the haul they received from San Antonio, the Sonics have ultimately netted a trio of first-round picks as well as Francisco Elson, Brent Barry and cash -- all for one conditional second-round draft choice." That's not entirely true, as the Suns also received an $8 million trade exception from the Sonics, which (I'm not sure about this) was possibly used in the Shaq trade. Still, the gist of the argument that the Sonics have made out like bandits is totally true. Scott (Orlando, FL): Are the Magic afraid to pull the trigger? They should have gotten Kurt Thomas (as they had expiring contracts and a better 1st rounder than SA). It wouldn't have cost them anything long term as Thomas is in the final year as well. That's an interesting point Ford makes. IF (and that's a big if) the Magic offered a similar package to the Sonics, well, it's obvious that their 1st round pick is more valuable than SA's. I hope for Presti's sake, he made the best move possible for the Sonics, and not a move out of friendship to the Spurs. Thing is, I don't think the Magic can offer a first-round pick. Don't NBA rules prohibit trading first-round draft picks in consecutive seasons? If so, the Magic would be unable to trade their pick this year because they traded their 2007 pick to the Pistons in the Darko Milicic trade. It's all irrelevant now, but from what I've read, the Sonics were especially interested in getting a 2009 pick, so that they could have two in each of the next three drafts. So it could have worked, in this hypothetical universe we're inhabitating.